I thought of this following thread about fanarts from various fanartists who vanished without a trace but we found by luck then websites like Archive.is and the Wayback Machine/Internet Archive had saved a copy. For example, this fanart of Dipper and Wendy from Gravity Falls swimming with dolphins. Or this fanart of Ami Mizuno/Sailor Mercury on a bike, only the thumbnailed version was saved. Here some more lost fanarts founded again. Jenny from the cartoon Wayside school. Maurecia, another character from the cartoon Wayside school. I re-checked Archive.is and the Wayback Machine and find this fanart made by Deviantartist Raccoonfoot formely known as Coonfoot https://www.deviantart.com/raccoonfoot of a slightly older Portia and Gwen from the Nicktoon cartoon The Mighty Bee. Were all those pictures deleted due to negative feedback they caused? Some was deleted because of negative feedback. Others was deleted after when the fanartist got banned or left Deviantart. Or the fanartist himself decide to remove it for personnal reasons. More fanarts found, thanks to the Wayback Machine, some are fanarts then I asked as requests. Inuyasha characters in South Park style. Sakura and Syaoran about to kiss. 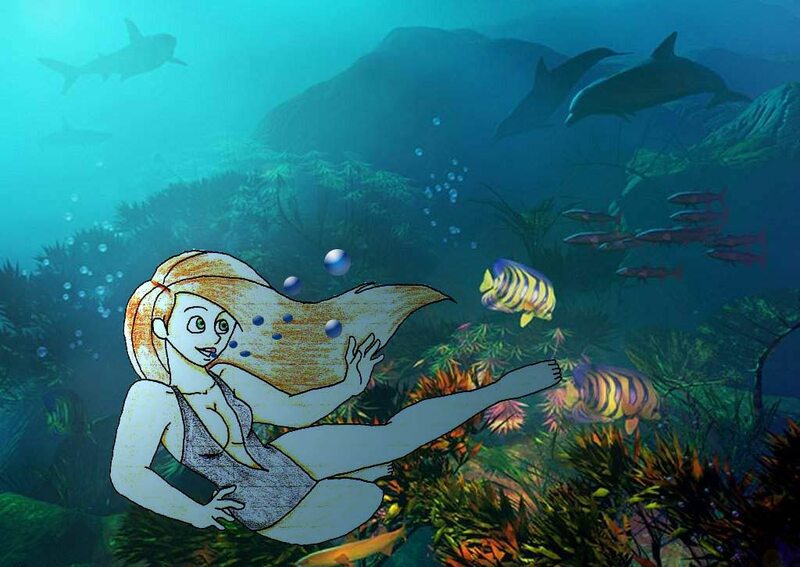 Here one I founded in a old hard drive then I asked as a request, a fanart of Kim Possible swimming under the sea. I don't remember the fanartist who made it. Edit: I founded who did this one, she was nicknamed BlackGargie. https://web.archive.org/web/20060820055415/http://www.fanart-central.net:80/user-BlackGargie.php and she's currently on Deviantart under the nick of IllusionEvenstar. Here some of her Kim Possible fanarts. Some of them was once on Fanart-central. Due to personal and professionnal reasons, I will be closing this account as well as my pixiv in 2 days. Anyone wanting to save my arts are highly encouraged to do so. I'll still continue on another account, but from scratches and different interests. I saved some of his works on the Wayback Machine. Note then the Wayback Machine don't save fanart with mature content on Deviantart. Edit: He also close his blog and his Youtube channel due to BandaiChannel who striked him for copyright stuffs for his anime stuffs. http://archive.vn/uijGr BandaiChannel should had thank him instead, he gived them free publicity. A old request then I asked a while ago, Sango and Miroku from Inuyasha meeting Kagome's mother, Mrs. Higurashi done by a fanartist nicknamed SugarT. There's also these fanarts of Serena from Pokemon saved on the Wayback Machine. I can't blame him about why he removed it, and with all the controverse I mentionned in the thread "the war of the underpants" about the fanart of Mabel Pines and others related fanarts. http://forums.fanart-central.net/viewtopic.php?t=43291 I think it might be better safe than sorry.